As you may have heard, earlier today, hedge fund manager turned pharmaceutical CEO Martin Shkreli was arrested by the F.B.I on fraud charges. Best known for acquiring a life-saving drug and spiking it 5,000%, Shkreli was actually handcuffed today over allegations of "illegally taking stock from Retrophin Inc., a biotechnology firm he started in 2011, and using it to pay off debts from unrelated business dealings." 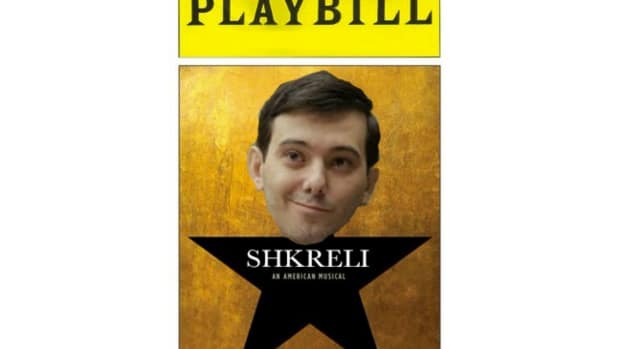 But Shkreli is much more than just accused white collar criminal. He&apos;s Don Juan. He&apos;s a hip-hop impresario. He&apos;s a job creator. He&apos;s Tolstoy in 140 characters. Herewith, our favorite Shkreli Tweets, before he was tragically separated with his iPhone today. Choosing these was like choosing your 10 favorite children, when you have thousands. What are yours?